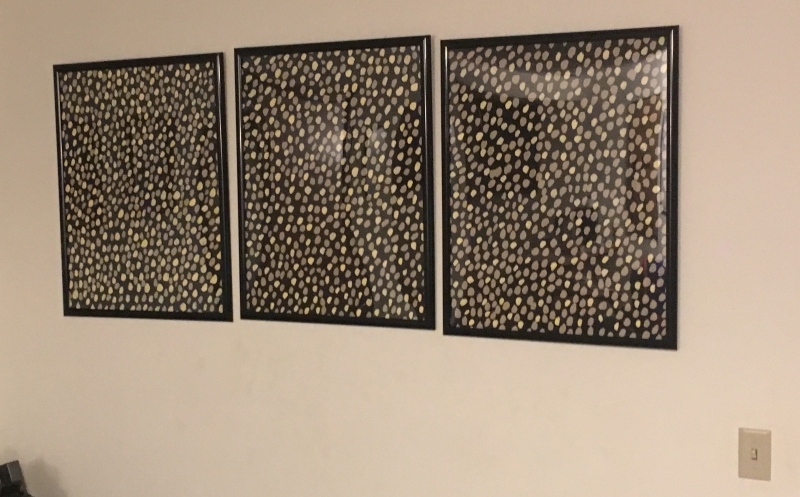 Here at Nogglestead, we will clearly hang anything on our walls. Yes, that is Bazooka on the lead vocals, Quick Kick on the bass, and Roadblock on the lead guitar. It was a late-breaking thing; although I had mentioned the idea early in October, the family was not enthusiastic about it until I received my wig, ordered from Amazon. Then the boys were all on it. So I assembled a stage out of scrap pine from martial arts-broken boards, printed out some small guitars and taped them to toothpicks for structure and so the GI Joe figures could grip them. And the stadium faces backdrop. That was the hardest part. I took some thin posterboard we had for school projects and painted five panels black, with several coats of black each. Then, I mixed up a flesh-colored-ish shade of acryllic paint and dabbed on some faces. After that dried, I mixed a slightly different color and added other faces. I repeated that a couple of times, when they were complete, taped the panels to cardboard to ensure they would stand up. And we were set. 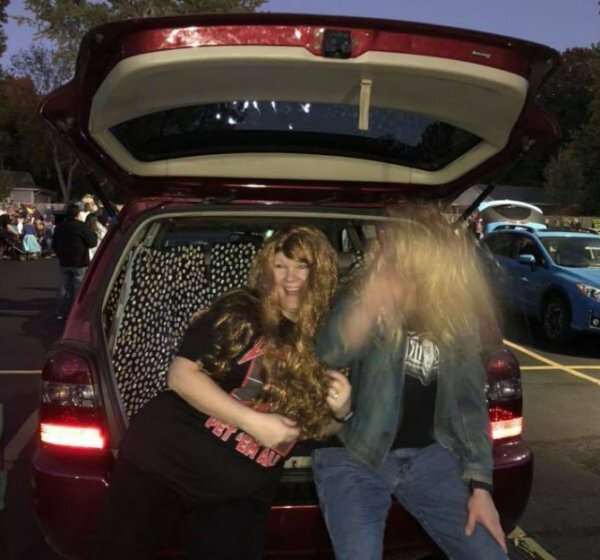 I spent the two hours of Trunk or Treat thrashing to the Leo playing through the wireless speakers beside the stage. People asked me the next day how my neck was with all that thrashing. Nobody asked me how my back was after hours of painting those backdrops that no one noticed. But the effort was not wasted. I put three of them in poster frames and hung them on a bare wall in our exercise corner. Strangely enough, they brightened that corner considerably with the reflected light on the frame plastic. Even more strangely, my beautiful wife likes it. I still have two panels left. Perhaps I’ll frame them up and put them in a silent auction sometime just to see what might be bid on them. Look, ma! I am an artist!